If you had to choose which family of waders you could be born into surely being a curlew of any kind is not what you'd pick! These wonderful and charismatic birds are in trouble, and not just our familiar Eurasian Curlew Numenius arquata, all curlews across the planet are struggling and two of them, the Eskimo Curlew N. borealis and Slender-billed Curlew N. tenuirostris, although officially still Critically Endangered have given up the fight and disappeared; they are now probably Extinct. Eskimo Curlew. Specimen in Tring Bird Collection. BNHM. Much has been written and published lately about the Near Threatened Eurasian Curlew and its almost complete disappearance from Ireland with 97% of the breeding population now gone and the rest of the British Isles faring nearly as badly with a decline of 80% in Wales and 50% across England and Scotland. At a recent Southern Curlew Workshop it was shown that the key to this drastic reduction was the lack of breeding success, very few young curlews are fledging to replace the adults which are dying off. In Shropshire, of the eggs that survived to hatching, the chicks were only around for a day or two at most. Predation, chiefly by Red Foxes Vulpes vulpes it seems, was seen as the dominant factor in this decline. 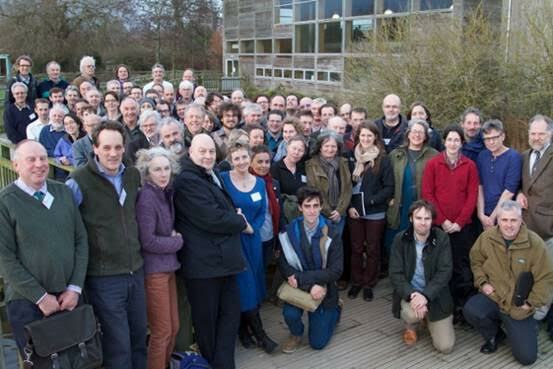 Delegates at the Southern Curlew Workshop, Slimbridge WWT, Glocestershire, England: February 2017. But what can be done about fox numbers and why are they so high? If foxes depended on waders for a living then they'd be in steep decline too, there are fewer rabbits and wildlife in general in the countryside is sparse, so how are foxes surviving in such large numbers? 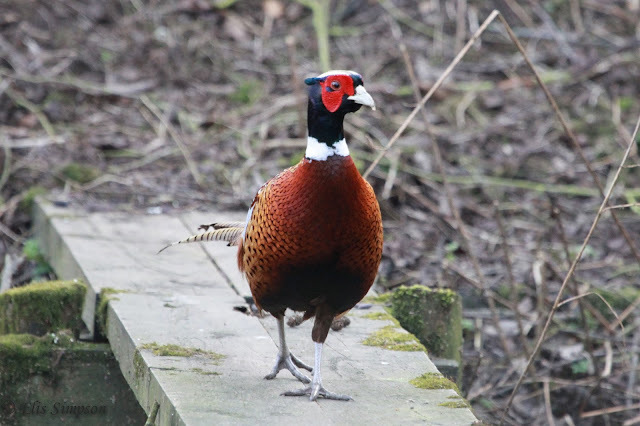 One suggestion is that they are being fed by the 35 million pheasants that are released into the British Countryside each year which maintain an abnormally high number of predators of all kinds. Released Common Pheasant at large in the countryside. Newport Pagnell, Bucks. England: February 2013. This may or may not be the case, but whatever the reason for their existence, getting rid of foxes is no easy task either, at least not by simply shooting them. In a personal conversation with one person responsible for predator control in an area where there are three shooters who kill one hundred foxes each a year, we learned that the numbers in the area don't seem to fall. The foxes are a bit like a gas, they will flow into any vacuum that is left vacant very quickly. Red Fox. Newport Pagnell, Bucks. England: August 2014. 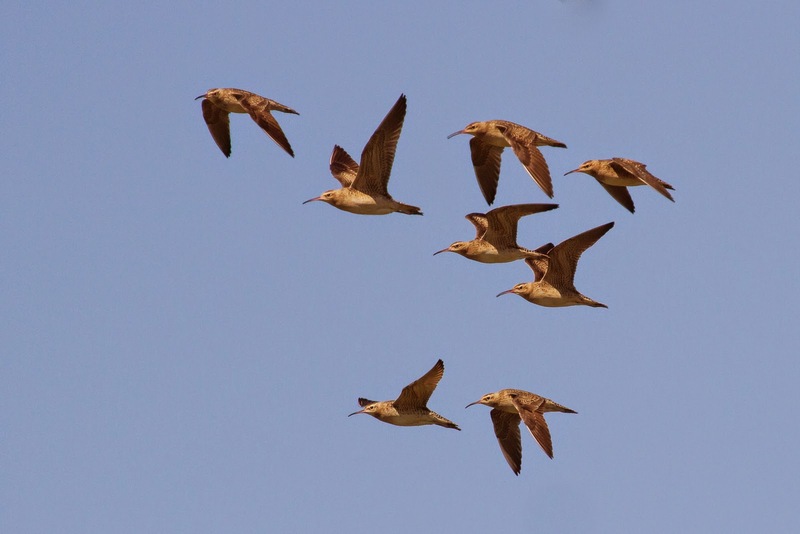 Other curlews, all of which are to be found on the Pacific shores and are also in decline, are the Far Eastern Curlew N. madagascariensis (Endangered), Bristle-thighed Curlew N. tahitiensis (Vulnerable), and Long-billed Curlew N. americanus (Least Concern). The Far Eastern Curlew uses the East Asian-Australasian Flyway which famously includes the Yellow Sea region, which is being destroyed at a devastating rate, resulting in this species' rapid decline and thus, it has little hope of a recovery any time soon. The Bristle-thighed Curlew only has a population of around 7,000 and is thought to be declining mainly due to predation and hunting on the wintering grounds on the South Pacific islands where, unusually among waders, during their moult around half of the adults are rendered flightless for a time. Bristle-thighed Curlew. Specimen in Tring Bird Collection. BNHM. 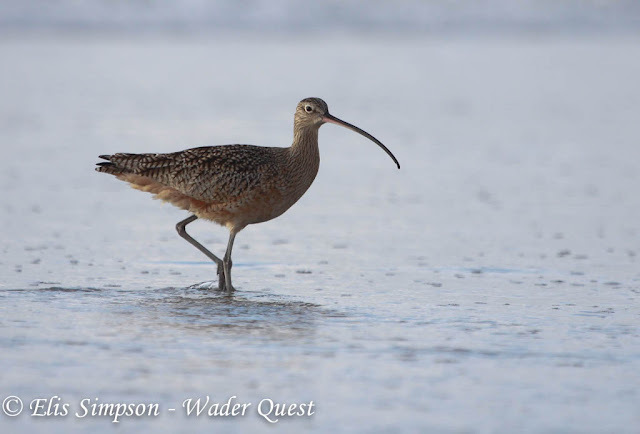 Although considered of Least Concern, the Long-billed Curlew is also in decline, so if you had to choose to be a curlew species, would this be the one? It has a large range, there are good numbers still and the decline is not rapid nor dramatic enough to cause concern... yet. But wait! What is that diminutive creature in the corner, almost unnoticed among the large and imposing curlews of which we have spoken? It is the Little Curlew N. minutus (Least Concern). Also to be found in the Pacific region, this remarkable bird has a stable population and so, despite sometimes being called a Little Whimbrel (which are curlews by another name it is true), this surely must be the curlew of choice for those with a view to survival.